Let’s start with an introduction: Who is Peter Liney? Well, first and foremost, he’s a writer. I’ve done all kinds of jobs – selling sewing machines in the Oz Outback, modeling, acting, fashion buying, decorating, teaching, etc., etc. – but the one constant has always been writing, the one dream has always been success. And no, I don’t agree with writing for yourself; no matter what we do, we want to be appreciated for it. Your latest novel, The Detainee, was recently published by Jo Fletcher Books. 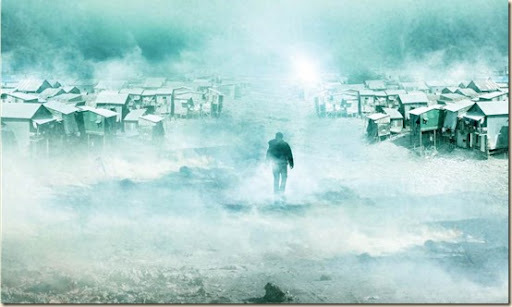 How would you introduce the novel to a potential reader? Is it part of a series? Most definitely. It’s a trilogy and I’m currently working on the final book. The situation is one I think we can all relate to, an extension, if you like, of the last five years; the final door, at the end of the corridor. To a world where the State itself has gone bust and can no longer support its weaker members, where unwanted children, teenage hardened criminals, but mostly the elderly, are sent to live on an island of garbage with the rest of society’s waste. Watched over by satellites, terrorised by wastelords, unable to escape. But cometh the hour, cometh hope from a very unexpected source. I wanted to write about Hope – Belief, maybe. The fact that, no matter how dire the situation, how near we seem to be to the end, give us just a drop of that magical potion and we’ll find a way to survive. In general, I think I draw my inspiration from research, serendipity and a little insanity. My taste in reading – and writing, come to that – has always been very diverse. I really can’t remember the first SF book I read. Probably Isaac Asimov. I’m not sure I’m qualified enough to comment yet. I still feel a bit like the new guy on the first day of term. Not wanting to ask too many silly questions, making the odd mistake – though fortunately, no longer worried who the cool kids are. As for my writing and researching practices; God bless the Internet and I write absolutely everything down, and no, for some reason, nothing else will do. I have a book called The Pretence that I hope to be published. It’s not SF, in fact it’s more of a cross between a wayward ‘love’ story and a thriller, but it’s another example of “What if…?” What if two people pretended one of them was someone else? 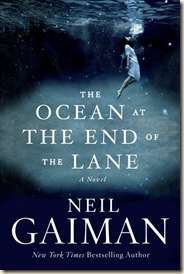 I’m actually reading Neil Gaiman’s The Ocean at the End of the Lane. I went to the wonderful Toppings of Bath evening featuring him at the Forum in Bath. It doesn’t surprise me, but it seems to amaze other people: I’m very practical and can turn my hands to most DIY. Oh dear. Spoiled for choice. I guess the launch of The Detainee in the US in March ’14; I’d love to see some film interest; and – and I know I really shouldn’t confess to this – for the last goodness knows how many years I’ve had this fantasy that one day I’ll be quietly sitting on the Tube and realise that the very beautiful woman opposite me is reading my book. I’ve got my hopes up for that, too. 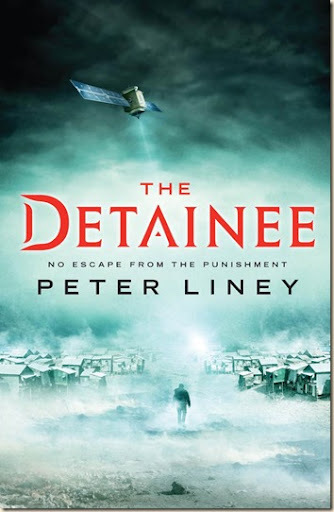 The Detainee is out now in the UK, published by Jo Fletcher Books. Be sure to check out the author/book on Facebook, and follow him on Twitter.